Becks Specialist DVDs - Rail DVDs, Equestrian DVDs, Pregnancy DVDs, Tai Chi DVDs, Tractor DVDs, Steam DVDs, Railway DVDs, Farm DVDs, Train DVDs, Fishing DVDs, Hunting DVDs & Painting DVDs. Welcome to becksdvds, the home of inspirational and informative dvds for every interest. Our wide range of documentary dvds is picked to include famous titles as well as hard-to-find programmes. New titles are added on a regular basis so don't forget to check back! Steam along and see the wide selection of Rail Journeys we have in stock. Excellent programmes from Cinerail, Marsden Rail, and B & R, to Graeme Whistler, Independent Studios, BNT and Ticket To Ride, there is something that will catch your eye. Discover the Railways of Scotland, the Great Trains of Wales, or From The Footplate series. We also have a selection of journeys across Europe like Portugal, Germany, the Netherlands and Sweden. For the experienced equestrians or those just starting out, we carry a large variety of specialist equestrian DVD's covering a wide variety of subjects including horsecare, racing, training, reviews, dressage, entertainment, young riders and more. Titles with famous riders like Pippa Funnell, Mary King, Tim Stockdale, and Mark Todd are in stock and we have the very latest from equestrian events held such as the FEI European Championships, FEI World Cup Championships, Burghley and Badminton Horse Trials. Our extensive selection of pregnancy DVD's and postnatal DVD's offer safe exercises for pregnant women in areas as pilates and yoga. With titles from Lindsey Jackson, Eryl Holt, Sharon Marett-Gregory and Marion Symes, they take you through all the stages of pregnancy and also as a new mother. The amazing world of Fred Dibnah MBE, Britain's legendary Steeplejack. Fred Dibnah is unique, he is well known to the British Public through his BBC Television series. We have a collection of his films, showing his life as a steeplejack, an engineer, an artist, a craftsman, a steam enthusiast, an inventor and as a story teller. Enjoy the wit and wisdom of one of Britain's most colourful characters, who will be sorely missed. Come and see how life was down on the farm in the good old days, and through to present day farming. There is a large selection from years gone by back as far as the 1930s and through the war years, when you had to work hard to make ends meet. We also have DVDs on ploughing, from ploughing with the horse to the tractor, rabbit control, dog training, and DVDs for the sheep farmer. 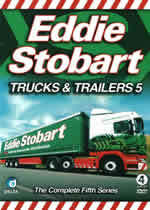 A real treat for all tractor fans, we have an extensive range of titles covering lots of makes of tractors. From the Massie Fergie, to the Ford, David Brown to the County, you won't be disappointed! We have coverage of the National Tractor Road Runs, also guides for the children as well as a large selection of machinery from the combine harvester to even a DVD covering a year in the life of a contractor. Our range of Martial Art DVDs includes an excellent range on Tai Chi. We have the best selling Tai Chi DVD series by health improvement expert Dr Paul Lam. Tai Chi is the most popular form of Martial Arts, but we also stock DVDs on Karate, Kick Boxing, Muay Thai, Wing Chun, and more. Whether you're a beginner or an expert angler, our range of fishing DVDs cover areas such as trout and carp fishing. If you want to improve your fly fishing we have a range of DVDs aiming to improve your skills. It's not all about learning, in 'The Gamefishers Year' John Andrews covers the complete spectrum of game fishing in Scottish waters, from harling on the River Tay in January, to battling sea trout in July in the Hebrides and Autumn 'greybacks' on the Earn in October. Experience the mountains and glens of Scotland echo to the sound of the Red Deer Stags roaring during the rutting season in the comfort of your own home on DVD. Why not check out our range of fox hunting DVDs split into various UK regions. Do you want to learn to paint? Be it watercolours, acrylic or oils we have a wide range of painting DVDs to cover areas such as landscapes and still life. So why not brush up on your artistic skills and buy one of Becks painting DVDs.